We're so excited for Easter 2019! If you don’t have a church home, or are unable to attend services locally, we’d love nothing more than for you to be our guest right here online Easter Sunday. You won’t want to miss a passion filled worship set preformed by the Cascade Hills Worship band, followed by a powerful sermon centered around the crucifixion and resurrection of Jesus Christ with Pastor Brent Purvis. We’ll be broadcasting LIVE Easter Sunday from the Columbus Civic Center in downtown Columbus Georgia. We’d love to be your online church, so join us starting at 9AM EST for a fantastic pre-show showcasing all that we offer with services officially starting at 10AM on April 21st, 2019. Text the keyword below to easily setup up an alert for when we go on-air. We promise not to spam you with anything more. Don’t forget you can also use the share button below to invite your friends to join you! Remember, as soon as we go LIVE we’ll send you a quick text message letting you know with a link right back here. Once you receive the notification, don’t forget get to copy and paste the same message and send to your own friends and family. leadership and communication gifts leading our church. Take a moment to get to know them! 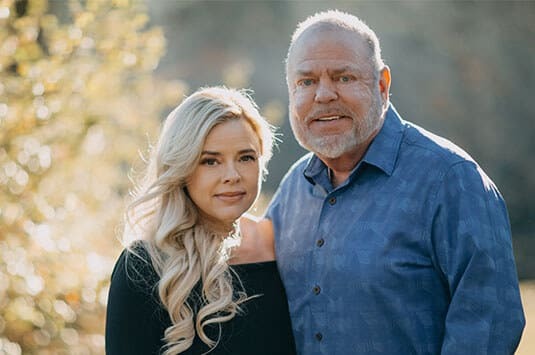 Pastor Brent has a communication style that is both relevant and authentic, his ability to connect with audiences at all levels with scripture, is clearly a gift from God. Raised in Eufaula, Alabama. Pastor Bill’s story is one that is evidence of God’s grace and ability to change lives. Once stabbed and left for dead, to leading tens of thousands to christ in 30+ years of ministry. Cascade Hills Church is “The Church for the UnChurched”. No matter who you, where you come from, or what you’ve done, know that God still loves you and you are always welcome here. This is a place where people from all walks of life attend to either find spiritual connection to God through Christ, or to live out their faith by helping others find Christ. With 4 great weekend service times to choose from, we’d love for you to plan a visit! This exciting course is part of a four-week experience for anyone who is new to Cascade Hills or is a new believer. You'll learn all about the church and what is has to offer, what we believe, and how to navigate your journey in your new found faith. We have a variety of weekly small group environments where you can really get to know other people in our church. Plus, we've recently introduced Cascade U where you can study ALL 66 Books of the Bible! LifeGroups are a great way to connect with other like minded Christians outside of the regular church environment, while doing something you all enjoy. This is a great way meet new people who share your same interest. Cascade Hills Church has something for everyone including your children. 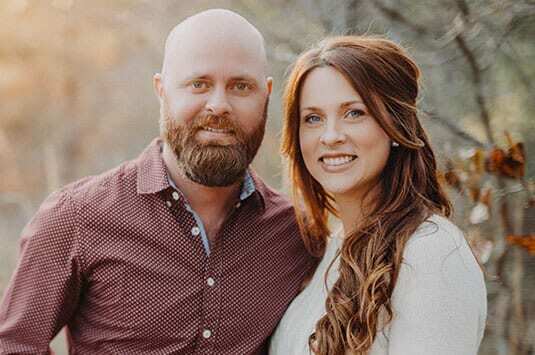 With the leadership of our fantastic youth pastors, background checked volunteers, and top notch security you can rest assured that your kids are in great hands. For more information about any ministry presented below, hover over or tap on the box to reveal more details. We provide two designated sensory spaces to help meet the needs of each child, plus so much more. We believe that children are a gift from God and should be handled with love and care. One of our goals is to provide a safe, secure, and loving environment for children in our care. Our goal is to teach our children that we serve a real and living God who loves them and can make a difference in their lives. We do all this while giving them the tools to live a productive life outside the church environment. We welcome all 6th-8th graders to enjoy the music, and an inspiring word from the Bible, drama, games, and much more. We think that High School can be often one of the hardest, yet most rewarding experiences in a young person’s life. Join us every Wednesday night in the main sanctuary for TheHills High School Night. Join us Thursdays at 7:30 PM at the Student Center. Through our weekly gatherings and connect groups we want to provide an opportunity for everyone to be connected. Did We Mention On-Demand Viewing! No matter which platform you prefer, in addition to our new streaming network, you’ll find an ever-growing selection of previously recorded series and messages available on-demand to meet your scheduling needs. Getting started couldn’t be easier. 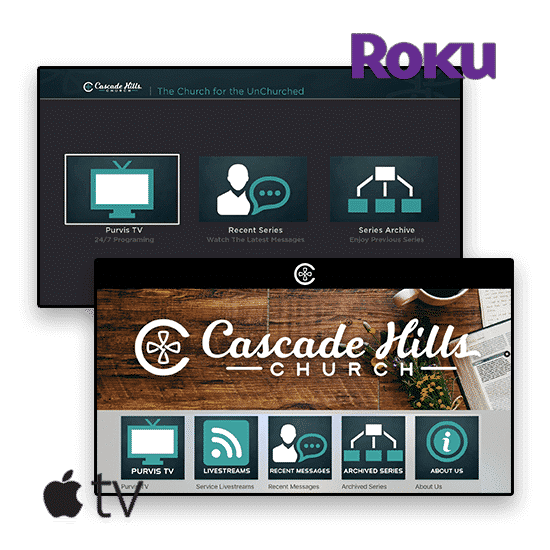 If you’d like to watch from your TV using your Apple TV (4th Gen or Newer) or a Roku device, simply open the search function within the Channel Store and search for “Cascade Hills Church”. Watching from your favorite mobile device is just as easy. Simply launch your App Store and search for “Cascade Hills Church” once installed, open the application and select the messages tab. These Smart TV and Mobile applications are 100% FREE! Please Note: If you find you’re still experiencing issues watching one of our streams, click here to troubleshoot or to make us aware. We are excited to have launched this new platform on these popular devices. However, there is still work to be done, so check back regularly as we add support for more and more devices. In the mean time, if your device already supports Youtube or Facebook, you should have some success with enjoying our LIVE stream via Youtube Live or Facebook Live. Simply search “Cascade Hills Church” within these applications to find the feed.